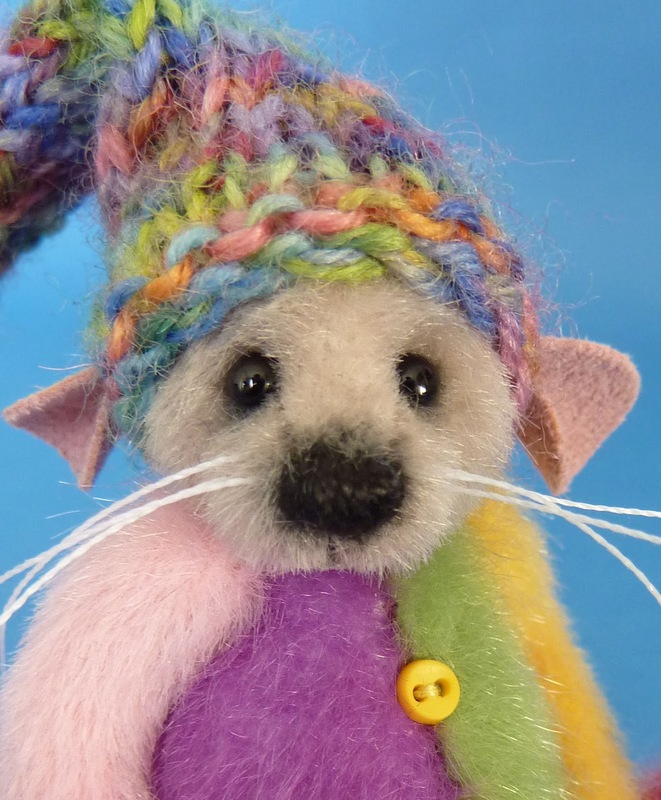 I am planning to have a few more bears and mice available, if you would like to be notified when, please join my mailing list at the above email address. This is Pop's, she's a tiny 3.5". Pop's is made from a yellowy cream X pile upholstery velvet. heavily filled with steel shot and polyester. International Customers please inquire for an individual quote. This is Starbright, she's a tiny 3". and blue X pile upholstery velvet.